This quilt will grow month to month. 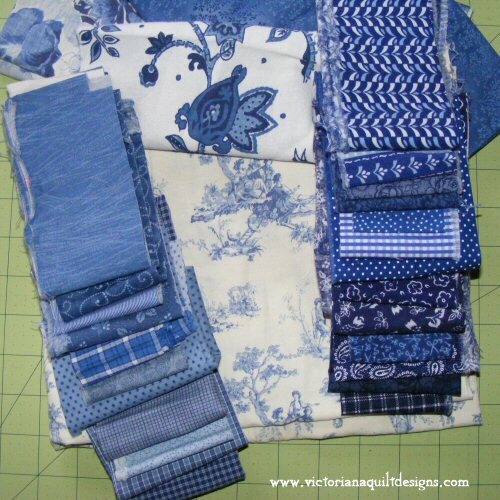 There are nine different blocks, and can be made into a wall hanging (my version) or a larger quilt - both sets of templates are included with the instructions. Each month Members can download the newest block for free. After the free month the blocks will be available to purchase. 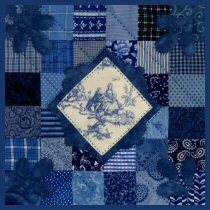 Wall Hanging Size: 28½" x 28½"
Larger Quilt Size: 55½" x 55½"
Note: The larger quilt is easily adjustable to make as large as you like, by repeating the larger blocks to the side and bottom of the design. The designing process is still happening and I don't have the exact amounts of fabric yet. 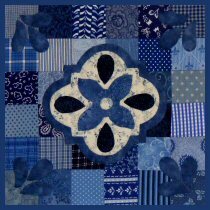 It's a quilt-as-you-go method, and each block is made and quilted separately, with a sashing added in the end, to join the blocks together. You can use your favourite applique method. I've set up a special 'Helpful Tips' page, with coloured pictures, available in the Schoolhouse - exclusively for Members.